2. In Providence, Exit 19, Route I-195 East toward Cape Cod. 3. Exit 20 off I-195 onto Route 105 (Front Street) into Marion. 1. Route I-495 South to Exit 1, Route I-195 West. 2. Exit 20 off I-195 onto Route 105 (Front Street) into Marion. 1. Route 24 South to 495 South to Exit 1, 195 West. 1. Go right off ramp, go straight (bear left at fork) to stoplight. 2. Go through stoplight. Tabor Academy is on your right, approximately a 1/2 mile down the road. 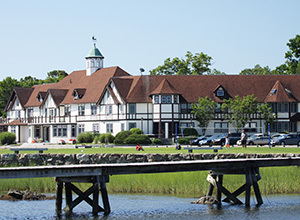 The Tabor Summer Camp office is located on the second floor of the Charles Hayden Library, located at 71 Spring St in Marion, MA 02738.